A sneak-peek into my world what I love and what I don’t. Long walks: I really love to go for my walks all day, everyday and any number of times. I make it a point to keep people around me busy and insist that all my needs are met— especially my walks. For me every moment is a walk moment, I enjoy the outdoors. If people around me are busy, I just don’t take ‘no’ for an answer. I am very vocal about my needs. I go to my dad, throw a tantrum and ensure that he understands. Lovely drives: Whenever we go for a car drive, I just love it. I love to stick my head out of the window, which is a strict ‘no-no’ by my mom. But just try putting your head out for sometime and you will love what you are missing in life! Sinful food: I enjoy dog food, chicken, fish, mutton et al. But I really love the smell and taste of those lip-smacking momos and tandoori chicken too. How I wish I can dig my paws and teeth into them at least once a month! Loving guests: I like only those people who love dogs, who love me and know my rules and if they can play ball or fetch with me, it’s simply awesome! Other people bore me and I simply prefer retiring on my bed when they come. Smell like yummy food: Smells like chicken, mutton and fish feel like heaven. Keep the perfume bottle and the room freshener hidden, I simply hate them. Well-mannered kids: I love to play with children only if they are nice to me and do not poke and pull. Thanks mommy dear for taking perfect care of that and ensuring that kids pet me gently or do not pet me at all. Where’s the green grass? Have you ever smelled the grass, rolled and romped on it. If you haven’t, you are missing one of the biggest pleasures in life. I love to rub my back on the grass which is better than any massage in the world. I really miss it in the city life. Vacations: I wish there are more dog friendly places. I have been to Naukuchiatal and Shimla and had a blast. Even vacation at Jim Corbett National Park was exciting but I was not allowed to go into the forest (naturally for my own safety). Mountain air: You will agree that mountain air is simply refreshing. Every breath you take is so delicious…let’s have more vacations at such places. Chasing monkeys: I hate monkeys and try to drive them away by barking but my dad hangs on to me at that time. It is my basic instinct to chase them and I love doing that. Home alone: Even though my parents leave me with my grandparents when they are not at home, and my grandparents simply adore me and take full care of me, I sulk as I don’t like being left. Secretly, I love to be pampered in my parents’ absence. Don’t be a chatterbox: Human love to talk but get angry when we bark, isn’t it unfair? I must say when we are out for a walk, I don’t like to stand and talk to a passerby who might be a friend. Music, nah! It’s noise: Please turn down that radio, television and music in the car, my ears cannot take loud music. Office: I love to go to work. They say I’m an office going dog. I am the boss at work, I get my walks, pats and cuddles all by demand. Visit to vet with family: My vet is a doll but still I am so scared of those medicines and equipments. So much so that as we reach his area, I refuse to get out of the car and have to be carried inside by my mom or dad. I also don’t like to see other four-legged patients who come to the clinic with domestic help. At such time, only your family should take care of you. Stones: I also have a fetish for stones of all shapes and sizes. In spite of all my squeaky toys and fetching balls, I just love stones and every walk time makes it a point to pick a precious one and get it home. Let’s go: I love the word ‘Let’s go’. I guess it gets out the gypsy spirit in me as I love to roam. Last but not the least I love my mom & dad and must say I have trained them well. They certainly do dance to my tunes. Have you ever wondered what your loving pooch would want this Christmas? To find out, here’s what Amrita’s dog Heera has asked Father Christmas. Dear Santa, I have not only come into my desired loving home and family but also got a mommy who loves me a lot. Not only she shall buy gifts for me this year, but I want to be pampered by you too. So, here are my dream desires:A yummy bowl full of my favourite nuggets! When the very smell of nuggets reaches my nostrils, it makes me get into a tizzy with a healthy appetite. I often think, if I were enjoying it anytime and at all times. But my folks feel that too much of it is not good for my stomach. So, it is only you who can make it possible, providing me a special bowl. O my Father! Actually, I want the freedom to walk long distances and do my own things such as chasing a squirrel without being pulled back, sniffi ng up all corners without being screamed at and also be able to pounce on any cat or dog full throttle, without being stopped. So, I urgently need to get my family having such leash that they have one end to themselves and I can feel free. A large-size bed with lots of pillows! O Divine Power! My family allows me to come up on their bed with them, but sharing it, I can’t keep changing my positions all over the bed on every cushion that I like. And of course, needless to say, my family will be more than welcome to share that giant-sized bed with me. Boon for free access to all the chic dog stores in town! O Boon-maker! I would love to just saunter in, pick up every chewy, dog-bone or other eateries that catch my fancy. I want to try their fish flavoured, chicken oil coated, mutton masala nuggets and bones that somehow my family thinks I’m too grown up for. Our beautiful bungalow with a huge garden! My Darling Santa! I know you can sniff my heart’s content, so needless to ask much for myself. But at least one more feeling I would like to share that I desire to get my family into a new large-size house, which has a huge garden, where I can play with all my local friends. Just because whenever I’m with my family member and meet these friends during my walks, they feel I’m an indoor’ kind of a guy. But if I have that kind of open space to play and jump with them, it shall become apparent how athletic and agile I really am. As you know Father, I’m growing older every day and the life span of my kind is not very long. I’ve just got a few more years with my family and would really like you to bless me with a long life so that I may spend more time with my adorable and loving family, whom I love from the bottom of my heart. In fact, if it’s a deal you are looking for, I am ready to give up non-vegetarian food in return. I am looking forward to my gifts of this Christmas! Do say hi to the reindeers. http://www.dogsandpupsmagazine.com/wp-content/uploads/2017/05/1254nal.jpg 0 0 Dogs and pups Magazine http://www.dogsandpupsmagazine.com/wp-content/uploads/2017/05/1254nal.jpg Dogs and pups Magazine2008-11-20 00:00:002013-11-08 17:22:20My Christmas Gifts! Pet parents: The beginning of May indicates a good time for financial investments, expansion in business or thinking about a relationship. The females, especially those at work, will be focused on money or career, will be practical and head strong. It is a good time for buying property, shifting to a new house and settling down. There is an indication of receiving an inheritance for some of you as well. Those connected with spirituality will be inclined towards the same deeply; there is a probability of motherhood as well. Our furry pals: The cards indicate focus on family duties and time to learn a few tricks. Canines involved in events will be successful and will enjoy themselves. Be careful about their health. Expecting mothers will be blessed with sweet little furry additions to the family. Pet parents: The beginning of the month indicates travel, overseas business connections, new assignments and career opportunities. The males can be emotional and at times have mood swings; but they will be very compassionate towards family. There is an indication for some to be disturbed regarding finances or personal issues which may lead to health problems. The elderly male can be slightly authoritative and will be in control of situations, whether personal or professional. However, the young will focus on career and it will be good to be practical, sometimes aggressive and less emotional. Our furry pals: This is a time for celebration, be it a tour with the family or welcome into new homes. It’s time to master some tricks, receive goodies and bond with new people. Pet parents: The beginning indicates a slightly depressing and disturbed week. Take care of your health and please do not be stubborn, instead be less defensive in order to maintain harmony. However, the latter half of the month brings a good emotional beginning, love or a new relationship, a new project or job offer. For those planning a wedding or an engagement, it is a wonderful time to tie the knot. Please do not regret the past as this only brings unpleasantness, so try to be positive and make the most of life. Our furry pals: It is a very good time for learning and picking up new traits. They will be blessed with emotional happiness, wish fulfi lment and fun. There are good chances for travel and to be surrounded with people in the mid of the month. Pet parents: For those who are planning to buy or move into a new house will be successful in doing so. It is also a good time to consider investments. Mid month could bring some criticism or heartbreak or a delay in job offers or starting a new venture. The elderly male or female will be authoritative and certainly have their say in personal or professional matters. People who hope for a new alliance, marriage or commitment, it is a favourable period from May onwards, so be positive and be happy. Our furry pals: The beginning indicates a blessed time for commitment, which all furry pals are best at, being appreciated for their achievements. Cancerians are moody, and so, it is best suggested to please let them be, as we all need our space. Pet parents: It is a great time for those in love or planning a marriage or commitment as love is in the air, especially in June. Men who are generally in careers will do very well, especially doctors, lawyers etc. Our furry pals: The beginning indicates making new friends; especially the females will be bold, courageous and enjoy a sense of importance from their dear ones. There is a good and positive indication or commitment; either planned mating by pet parents or even learning some new tricks. Pet parents: The beginning of May indicates a good time for mother-child bonding. The mid month certainly brings positive new beginnings with regards to career and monetary gains. Favourable months to achieve your goals as your stars are bright. Motherhood is on the charts for females while males will focus on career, fi nances, business and stocks. Our furry pals: The month indicates expectations for new home adoptions. For those planning to enter a contest, victory is defi nitely on the cards. Pet parents: The beginning indicates criticism or lack of making the correct choices, competitions, quarrels, misunderstandings, and regrets. There will be delay in a travel plan or a project may be blocked and cause some delays in its progress. You all are advised to be cautious while signing any contracts or indulging in money transactions. Some may be inclined towards meditation or even follow a Guru who will be a source of solace. This is clearly a month of ups and downs. You are advised to try to be calm, wise and practical. Our furry pals: Older furry pals will dominate and bully others in the neighbourhood or at home. Travel forecast for some but a delay around June with regards to being adopted and finding new homes. Pet parents: The beginning indicates for career women a good time, new business opportunity or job offers. It also offers spirituality and an amazing capacity to handle work or home perfectly. There is a wake up call for your consciousness and a blessed time to use your judgment accurately. The month of June is favourable for a celebration, party, rejoicing and making merry. This month also brings positive messages related to love, marriage, commitment and matters of the heart. Those who are in a litigation or matters with legal issues, there will be results. Our furry pals: A good wish fulfilling beginning and a lot of goodies will be received. The mid month indicates an average time and some will have to be on guard as there may be a bully in the neighbourhood who will try to play Boss. Pet parents: The beginning is a favourable period for marriage, courtship, commitment and love, also for those who are planning the coming of a baby; this is a good and favourable time to prepare for the new arrival. The men, especially professionals like doctors and lawyers, will be very successful in their respective careers. Those expecting results regarding new ventures will see their wishes fulfi lled by month end. A very vibrant period for the younger generation, who will excel by focusing and being practical. The month of June also indicates some introspection for those who are inclined towards spirituality. Our furry pals: The beginning indicates some regret and running away from a bully in the neighbourhood. There is a strong indication that appreciation and awards are on the cards. 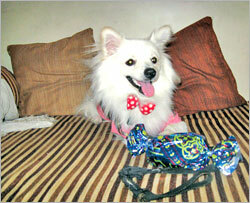 Pet parents: The beginning indicates good time for shopping, indulging in luxuries and motherhood. The month of May is also favourable for making purchases, investments, buying property and fi nancial gains. June is a good time for family togetherness. The time for making donations, helping people or indulging in social work is ideal around the month of June while the end of the month calls for some celebration and party. Our furry pals: They will be confused, especially those adjusting in a new environment. They may feel depressed but will soon be the centre of attraction and will have loads of fun ‘n’ frolic. Pet parents: This month indicates new beginning of a job via email or an important phone call. It is also a good time for marriage or a commitment. You can be on a spiritual path or think deeply. The month of June indicates good results of your effort. Some of you may be juggling more than one thing at a time – job or relationship. June end is certainly a period of concern, health and work. Our furry friends: This month calls for extra special care, with regards to health or any decisions pertaining to physical call. A lot of attention is needed for those who may show signs of ill health. Pet parents: The beginning of the month indicates confusion, anxiety, emotional regret, etc. There is a need for spiritual help, as you are likely to be over burdened on the home or work front. You may have to make sacrifi ces and probably let go of whatever you are holding on to. The month of June indicates disturbed and diffi cult period, so you are advised to be focused and assess your issues in order to find solutions. Our furry pals: It is time to make your furry pal comfortable in a new surrounding. There is a possibility of them feeling depressed, confused and scared, but your love will make them feel safe and happy. Do you know your dog’s personality? “Of course I do!” would be your most likely answer. Just like those moments when you fail to understand the behaviour of a family member, you may at times be in a fi x to tell “What kind of a dog my pet is!” Though a lot has to do with his breed and genetic characteristics, many personality traits are acquired by nature and nurture. Here’s a simple quiz to decipher your pooches’ personality and bring you closer to understanding them. Leaps, bounds and climbs all over the stranger. Hides under the table with his tail tucked between the legs. Takes a slow approach and sniffs before deciding to come closer. Barks, growls and bares his teeth. There is a party in the house. Left alone with a dog-biscuit or a bone. He gets to spend quality time alone with you. He gets to chase a mouse or play a rough game on the grass. 3. How often does your dog bark? He doesn’t actually bark, he whimpers. Only when he feels like. Whenever he sees anything strange or moving. 4. What is your pooch’s favourite pastime? Being around with people and making new friends. Cosying up in a corner. Going out for a refreshing walk. He sulks for a while and then returns with a bang…. in a few minutes. Gets traumatized and refuses to come out of a hideout for several hours. Sulks and waits for you to come, pamper and coax him. Is petted occasionally by serious dog-lovers. Is a terror and makes kids scamper away even when he steps out to pee. Rubs noses, paws the “new friend” and bites on the muzzle. Pushes his ears backward and lies on his back with the tail tucked between the legs. Meeting another dog? You must be kidding! Loves to stick his head out of the window and catch the fresh breeze. Can’t help peeing and throwing up all the way. Has his initial hiccups but settles down soon. Scratching on the under-side of the neck. A gentle stroke on the head. A firm rub all over. 10. Does your dog ever run away from home? Doesn’t really “run away”…but may go out for a stroll by himself. Wouldn’t even think about it! Sometimes, but doesn’t go too far. Yes! Stays out for days on end and comes back rotten. Mostly A’s: “Page 3 Personality”: This doggie survives on social contact and is the life of any neighbourhood. The “A-Types” like to welcome their guests with as much enthusiasm as the host and love to be the centre of attention. They tend to get cranky and upset if left alone for long. They are also more prone to attention seeking behaviour. They are good listeners and companions; especially for people who live alone. Full of energy and life, they revel in human or animal company. However, their over-enthusiasm may sometimes even land them in troublesome situations. Also, they have to be trained so that they don’t end up being too dependant. All they ask for is lots of love, food and a little bit of pampering. Mostly B’s: “The Shy one”: These are overtly sensitive and reserved dogs probably bordering on insecurity and fear. They would turn into a bundle of nerves when faced with too many strangers (human and animals). They scare easily and prefer to play safe in every step they take. A harsh punishment can push them back into their shell and it may take long before you can win back their confi dence. These fragile beings need to be handled with utmost care and compassion in order to build their self-esteem. Think twice before scolding them and try to do with a gentle deterring technique. Use a lot of tactile stimulation as a sign of assurance. Nurture them so that they don’t grow up to be wimps. Physical activity with a lot of inter-personal interaction helps in most cases. Mostly C’s: “Cool Dude/Babe”: These dogs are usually balanced in their everyday behaviour and not giver to extremes. They are cautious and careful with every move and tend to be moody at times. Being intelligent and alert, they are every dog-trainer’s delight. They adjust easily to new environments but may not be very social at times. They crave individual space and at the same time, need a fair amount of attention to keep them going. This brand usually knows how to chalk out plans and you may fi nd them playing by themselves, exploring around, taking a nap or chilling out in a cosy corner. The good news is that you have an independent dog who is co-operative, not too high in his demands. They tend to look up to their parents for leadership and guidance and your parenting will eventually determine what they become when they grow up. Mostly D’s: “Angry Young Man”: Your dog is the leader of a wolf pack, not your regular pooch which kids go ga-ga over but a rebel who resists domestication! They love challenges, adventure and freedom. He is most probably a male and an alpha one at that! The D-types are less likely to appreciate too much petting and prefer to be by themselves. They derive thrills out of chases and testosterone driven encounters. These are internally motivated dogs and are not easily impressed by toys, treats and games, which make them diffi cult to train. They are usually unfazed in normal circumstances but can prove dangerous for an outsider if provoked. Fiercely loyal and strong, they make perfect police and guard dogs. Give them adequate exercise, food and space and they are good to go! http://www.dogsandpupsmagazine.com/wp-content/uploads/2017/05/1254nal.jpg 0 0 Dogs and pups Magazine http://www.dogsandpupsmagazine.com/wp-content/uploads/2017/05/1254nal.jpg Dogs and pups Magazine2008-05-10 00:00:002013-11-08 17:24:43What's your dog's canine-ability? Ever-romantic Gemini Pug… creatively balanced Libran Beagle… and passionately devoted Scorpio Lab… I hope most of our readers know, what we are talking about. Yes! Star sign traits are not only for humans, it’s for our caninebuddies as well. Here’s a sneak peek-a-boo on these Bow star signs…Woof! Let’s explore. Have you ever wondered why some dogs are snappy and some amiable; why some are moody and some forever enthusiastic in life; why some have a sweet tooth and some would literally die for spicy nonvegetarian food? Well, those who don’t care much for dogs would probably shrug and say, “That’s because they belong to different breeds!” But things are not that simple. Those who love and “know” dogs, also know that every dog is as different from the other as are two fingerprints. In fact, what I’m about to say will be scoffed at by non-dog-loving skeptics, but the truth is that regardless of breed, even dogs are born with different characteristics, depending on the zodiac sign he/she is born under. Ask any dog parent, and they will vouch for the fact that every dog manifests certain traits that are typical of their signs. For many pet parents, getting to know more about the corresponding signs of their dogs also helps in understanding their canine child better and facilitates better handling. And so, read on carefully to know the characteristics of the star signs of your adorable babies. If your baby is born under this sign, you have to be prepared to be in the thick of hurricanes all the time, because Aries dogs are full of energy and known to be hyperactive. So, if you are someone who is not too equipped to handle that kind of energy level, then don’t get an Aries pup home. But if you already have one, then learn to be ready for their power-packed performances all the time, and also be ready to “forgive”, since they are likely to end up breaking quite a few items in the house. But then forgiving them will not be a problem since they shower you with so much love that you can’t stay angry with them for long. But be very careful, not to scold them in public. That’s something that does not go down very well with these four-legged Aries. If you happen to be a parent of the Taurus pet, then you can have some breathing space, since Taurus pets are known to be quite passive and easy-going. For children, it could be a dampener, since Taurus pups love to sleep more than playing. They also take time to like people, but once they do, they are yours for life. These darlings also love to eat because of which they are susceptible to obesity. So, be ready to take them out for regular exercise – even though they may put up a strong resistance to it. Gemini pets are one of those for whom you can say – curiosity is killing the dogs! They like to be a part of everything that is going around them and are also prone to sulking if you refuse to include them in all activities. So, be prepared to always pamper them and make them feel wanted. They hate to be left alone and feel very lost when they have no one around them. But what’s remarkable about them is their learning ability. They get trained really fast and are a pleasure to teach new things. 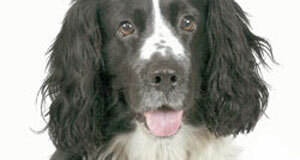 Like their human counterparts, Cancer pets are very sensitive creatures. They are among the most emotional of all signs. Which is why you must keep this always in mind when you scold them or have a few nasty things to say to them. What’s more, they also get irritated very easily, especially when their private space is encroached upon. Also, keep in mind that they like your undivided attention. So, make sure you always have enough time for these moody pets of yours. When you are a parent of the Leo pet, you will know exactly what I mean when I say that these are the pets with loads of attitude. The sense of ownership they move about with in the house actually makes you wonder if you are a houseguest with them! They have certain elegance about their movement, which is a pleasure to watch. They also love adventure and are game for whatever new routine or place you come up with. They also end up being leaders of the group of local strays, without having to prove their supremacy. They are in fact, ideal pets for house with kids, since not only do they protect the kids of the house very well, but also love to play with them with all the energy possible. They love to be treated kindly and they know of numerous ways to show you how much they love you. These pets are known for their “feminine” qualities. They make terrific companions and are blessed with such intuitive powers that they know immediately when you are not well. For them, physical proximity is very important. They love to just hang around you and be in the same vicinity. They are shy and not very expressive, but the things that they do, are enough to let you know that they are crazy about you. You only need to have a Virgo pet to believe what I’m saying. These are the easy-going types, who often do not play favourites in the house. They are known to divide their attention equally in the house and deal with all the members at an individual level. Surprised, aren’t you? But then that’s how they are. And just when you think that you can’t be mire surprised, digest that these Libran pets are known to enjoy all the good things in life. They like good food, places and yes – good play toys. But be prepared for their major mood swings. They may be playful at one minute and sulking the other. But what difference does it make when all you feel for them is just love and more love – and vice versa! Pets of this sign don’t trust easily, and especially when they have had a bad experience with someone early in life. So, next time if you see your pet snapping ‘unreasonably’ at someone, even if he/she is from the family, understand that your pet is most probably still smarting under past bruise and is settling scores! They are also full of energy and like to display that at every possible occasion. They are known to be very possessive and absolutely hate it when they see the affection being shared. So, next time when you see your Scorpio pet picking up a fight for no reason, understand that there is a “good” reason – that they are trying to get even for having their affection usurped! As for loyalty, well what can I say. They are the most loyal of all the signs in the zodiac. These are really the fun loving types, with no hang-ups whatsoever. What is also very endearing about them is their over eagerness to please, they will wag their tails, yelp, lap and lick your face – all to please you. Now, if that won’t melt your heart for good, what will? They also like to stay outdoors a lot. And so, if you have a house with garden, they will have nothing to complain about. But they do have a tendency to go overboard with excitement and become forgetful. However, the good news is that they need to be disciplined very often. But the little darling that they are, they don’t mind that at all. The most endearing thing about Capricorn pets is that they stay young forever – in spirit that is. They have endless capacity to play, which is why they make the best playmate for kids. And just like kids, they tend to sulk when they don’t get their way. In that respect, they are just like little children (which for all dog-lovers, I think they already are, no matter how “adult” they try to be). One very conspicuous trait about Capricorn pets is that they are ‘family’ canines. They feel most at ease when they have a lively family around them. The dogs that you see most often in paintings and cartoons and books where the dog is contentedly sitting by the sofa by the family, is most likely to be a Capricorn! These are gentle and loving creatures and ones who believe in “live and let live” principle. Also, they are very intelligent and blessed with a sharp mind. One thing that the parents of an Aquarian pet will have to strictly keep in mind is that they hate to be ordered around. They also tend to be a little stubborn and can be slightly difficult to handle when they decide not to obey orders. They are also slightly averse to too much physical display of affection. But these Aquarian dogs are the only ones who give you the pleasure of a pet with whom you can expect some kind of peer relationship. They like to treated as an adult and give their best when treated as such. If you feel that your pet is most amiable, peace loving and gentle, then it’s most definitely a Piscean. They are ideal pets as they have a very strong intuition and are very likely to be sensitive to you moods and habits. They also don’t crave too much of open space and are ideal pets for small houses aka apartments. They have the ability to make the best of everything, even the limited space available to them. But having said that, all that these four-legged darlings crave for is your love and undivided attention. As long as they get regular supply of TLC (tender loving care), the only characteristic they display is – unconditional love, love and more love. So, Just keep loving…Woof! http://www.dogsandpupsmagazine.com/wp-content/uploads/2017/05/1254nal.jpg 0 0 Dogs and pups Magazine http://www.dogsandpupsmagazine.com/wp-content/uploads/2017/05/1254nal.jpg Dogs and pups Magazine2008-03-20 00:00:002013-09-04 12:34:10Dogoscope – Woof! Blame it on the Star Sign! Life with Setters can be anything but dull. 1 It’s fun to test your wits with these intelligent creatures. Stubborn to the core, you can break down their ‘dominating’ behaviour if you can outwit them at their own game. For instance, if you wanna get them to ‘get off the couch’, a stern command is often treated with scant respect. But involve them in a game and they are happy to do your bidding! 2 They have a little ‘knot’ on their head. 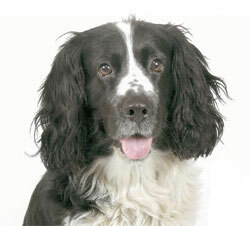 That’s what some Setter lovers say is their ‘knot of knowledge’. Or others call the ‘kissable knot’. Or sometimes maybe you’d be prone to call them just ‘knuckleheads’! 3 Towel me, please! That’s what Setters say after their meal. Trust me they are very resourceful at finding their own napkins – unfortunately, it might be that lovely Persian rug that you just got back from the laundry! 4 While one Setter believes in ‘pointing’ and ‘setting’ every pigeon, house lizard, toad or every little sparrow in the backyard, the other might believe in ‘live and let live’ – preferring to laze in the sun than worry his little head over setting! 5 They are masters of counter surfing. You might find a freshly-baked cake that you left on the counter a minute ago, disappearing in the blink of an eye! 6 Spray bottles scare the hell outta the brave little Setter! Aim one and you will find him ducking for cover! 8 They are big trophy-collectors. Be it socks, underwear, toys, balls, they have got to hoard them all. And, the most exasperating part is that they have to flaunt their embarrassing hoard in front of guests!